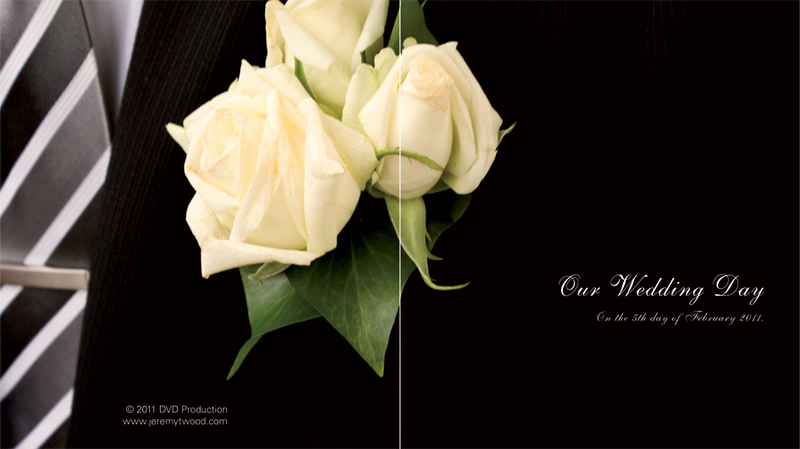 A DVD slide show presentation. 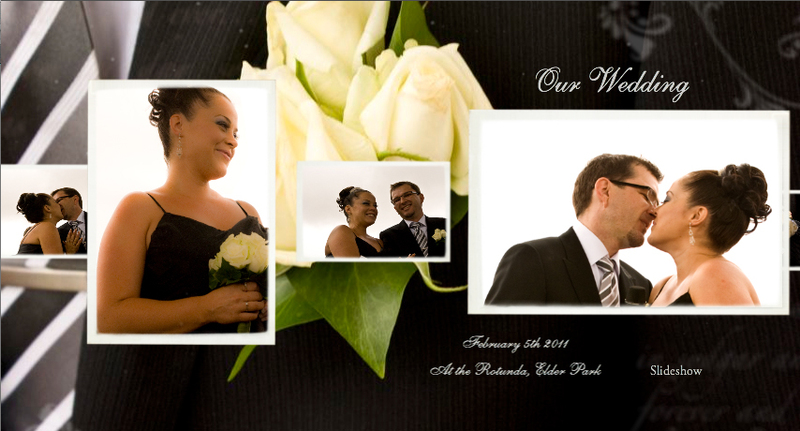 Wedding photos are first edited and then arranged into a slideshow format. 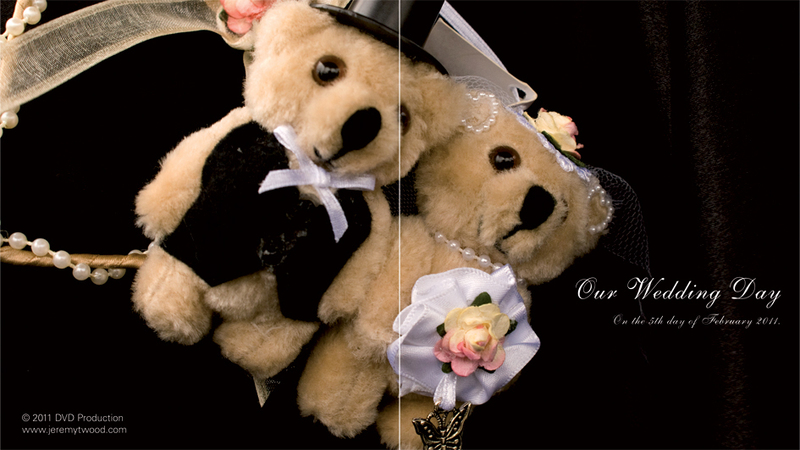 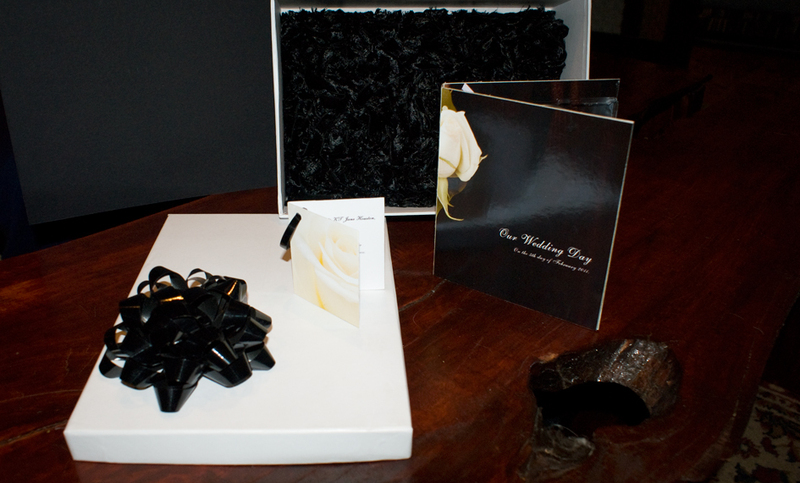 The front and inside covers were hand crafted and uniquely designed for the newly-weds.